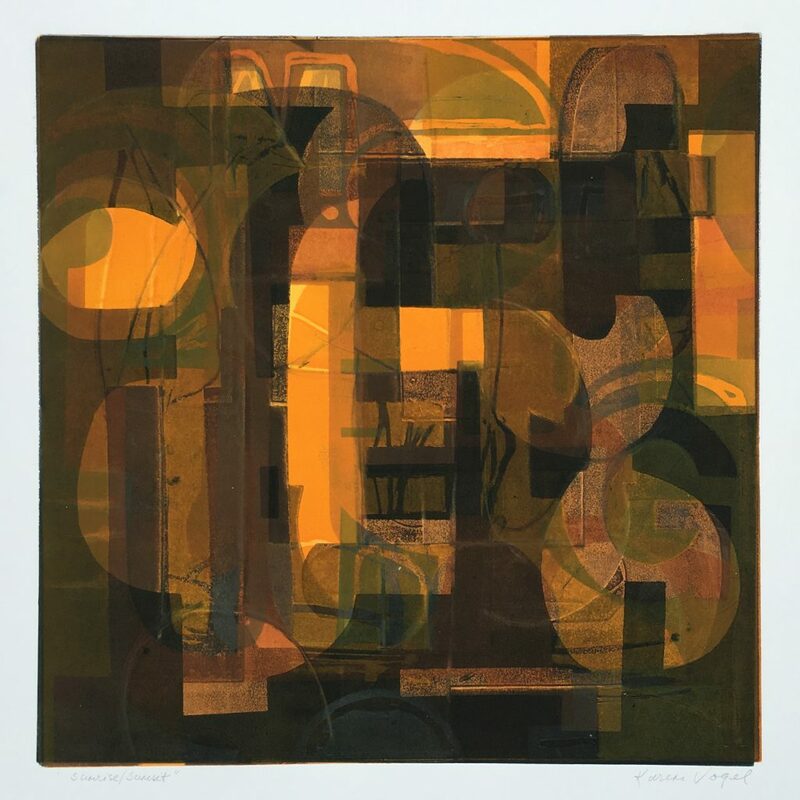 The personal language underlying the foundation of Karen Vogel’s monoprints is structural, narrative, and organic in nature. Vogel’s process involves a layered progression of textures and patterns which draw on the languages of typography, architecture, and organic forms. Constructing forms of order, then deconstructed reveal an underlying tension between the order and chaos that resonates throughout our daily lives.